You can get Operation System (OS) name and major version and minor version details,service pack and build details of server using "System.Environment" class. We can use OSVersion property of Environment Class which will return "OperatingSystem" class. 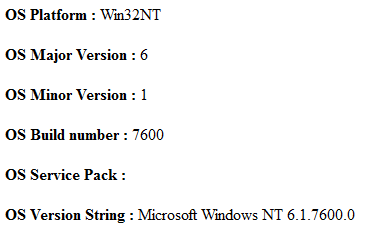 In this example we display server name ,it's version details , service pack and build details.